Please submit your $300 non-refundable Application Fee, payable upon submission of application. Applicants must have completed the IAP2 5-day training, Foundations in Public Participation (formerly Certificate Course) and be members in good standing of IAP2. 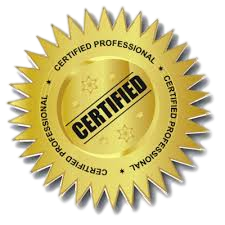 Check out the Professional Certification page for more information. To be eligible for the 2019 Assessment Center in Denver, CO on May 31 - June 1, you must submit your application by February 1, 2019! To be eligible for the 2019 Assessment Center in Portland, OR on September 27-28, you must submit your application by May 31, 2019! The cost to submit a Core Values Awards application is $100. This registration page provides you with the opportunity to pay online via PayPal and credit card. You can pay online through the IAP2 USA PayPal system by registering for the 2019 Core Value Awards listed in the IAP2 USA Events Calendar. You do not need a PayPal account to use this system. PayPal also accepts VISA, MASTERCARD, AMEX, and DISCOVER. The Participation Company presents IAP2's Foundations in Effective Public Participation (5-Days) in Chicago, Illinois, April 29 - May 3, 2019. Questions? Email Melissa Sparlin for more information. The Participation Company is pleased to present IAP2's Foundations - Planning for Effective Participation May 1 - 3, 2019, and Techniques for Effective Public Participation June 3 - 4, 2019 in Salt Lake City, UT. Module I: 3-Day PLANNING for Effective Public Participation - The IAP2 Planning module provides you with a proven structure that will greatly increase your odds of a successful project. This hands-on course gives you the opportunity to delve into your own challenges as you learn and review the essential elements of effective public participation planning. Once you have completed the planning course, you are ready to add 50+ practical tools and methodologies to your public participation toolkit. For those in town Friday evening, we'll provide information on wonderful local eateries to enjoy more time with friends and colleagues. Note: AICP members can earn CM credits for concurrent sessions. IAP2 USA board meetings are conducted by conference call on the third Thursday each month. Email info@iap2usa.org for meeting documents and call-in information. Module I: 2-Day Techniques for Effective Public Participation - Once you have completed the required planning module, you’re ready to add 40+ practical tools and methodologies to your public participation toolkit. Working experimentally with seasoned IAP2 trainers and your peers, you’ll now learn powerful techniques you can put to immediate use in your next project. This module breaks down specific methods, including World Cafés, Interviews, Revolving Conversations, and Advisory Groups. You’ll leave armed with a wealth of reference material, IAP2 tip sheets, and the ability to select appropriate procedures for each new project. You’ll also learn how to establish and maintain effective internal and public communication during the process. The Participation Company is pleased to present IAP2's Foundations - Planning for Effective Participation July 10 - 12, 2019, and Techniques for Effective Public Participation August 1 - 2, 2019 in Denver, Colorado. Click here to register for this event, view The Participation Company training calendar or download a flyer. Growing global citizen outrage causes government gridlock, lawsuits, stopped projects, election losses, loss of time, money, and destroyed credibility. STRATEGIES FOR DEALING WITH OPPOSITION AND OUTRAGE IN PUBLIC PARTICIPATION is a new workshop based on the theories of Dr. Peter Sandman (www.psandman.com), creator of the "Risk = Hazard + Outrage" formula and a pre-eminent risk communication speaker and consultant. This course will help you move people from rage to reason and engage stakeholders in building consensus for better decisions. This practical, hands-on workshop is a fresh 2-day mix of lecture, video, small and large group discussion and authentic, real world exercises that give you the answers, tools and ability to prevent problems, manage the tough public issues that you face and keep your organization on track and moving forward. JOHN GODEC is an IAF Certified Professional Facilitator, a course developer for both the original IAP2 Certificate program and newly revamped IAP2 Foundations program and the Emotion, Outrage and Public Participation course. He served as an original Master Trainer for IAP2 and as Vice President of IAP2 USA. He’s managed nearly 400 complex global projects over a 30-year career, facilitated more than 1,000 meetings and helped develop a risk and emergency communication protocol for the U.S. National Governors Association. 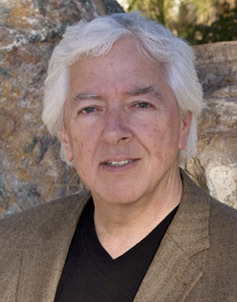 John is a roster member of the U.S. Institute for Environmental Conflict Resolution, the former Director of Issues and Crisis Management for Motorola Corporation and former Communications Director for the Arizona Department of Environmental Quality. The Participation Company offers discounts to active members of IAP2 USA, AICP, ICMA and NCDD. The discount is valid through the Early Bird Deadline of June 19, 2019. The last day to register is July 11, 2019. The Participation Company is pleased to present IAP2's Foundations - Techniques for Effective Public Participation August 1-2, 2019 in Denver, Colorado. Module II: 2-Day TECHNIQUES for Effective Public Participation - Once you have completed the required planning module, you’re ready to add 40+ practical tools and methodologies to your public participation toolkit. Working experimentally with seasoned IAP2 trainers and your peers, you’ll now learn powerful techniques you can put to immediate use in your next project. This module breaks down specific methods, including World Cafés, Interviews, Revolving Conversations, and Advisory Groups. You’ll leave armed with a wealth of reference material, IAP2 tip sheets, and the ability to select appropriate procedures for each new project. You’ll also learn how to establish and maintain effective internal and public communication during the process. Registration is now open for the 2019 IAP2 North American Conference! Sign up before June 30 and get the early-bird rates! Stay updated on all North American Conference happenings! Follow us on Facebook, LinkedIn, or Twitter, and our website regularly! Join us as we celebrate the best of the best in P2 in North America. We will be celebrating and learning about the amazing projects that have been taking place from the northern tips of Canada to the southern corners of the United States. This year's IAP2 Core Values Awards Gala will be taking place at the NASCAR Hall of Fame Thursday, September 5 at 6:00 PM Eastern. If you are attending the 2019 IAP2 North American Conference, your admission is free. If you are only attending the Gala, or plan to bring a +1, please register them $80 USD. The Participation Company is pleased to present IAP2's Foundations - Planning for Effective Participation September 24 - 26, 2019, and Techniques for Effective Public Participation November 20 - 21, 2019 in Orange County, CA. The Participation Company offers discounts to active members of IAP2 USA, AICP, ICMA and NCDD. The discount is valid through the Early Bird Deadline of August 30, 2019. The last day to register is September 25, 2019. The Participation Company presents IAP2's Foundations in Effective Public Participation (5-Days) in Kansas City, MO, October 7 - 11, 2019. The Participation Company presents IAP2's Foundations in Effective Public Participation (5-Days) in Phoenix, Arizona, October 21 - 25, 2019. The Participation Company offers discounts to active members of IAP2 USA, AICP, ICMA and NCDD. The discount is valid through the Early Bird Deadline of October 11, 2019. The last day to register is November 6, 2019. April 09, 2019 IAP2 Monthly Webinar: Victoria Encore - "Creating Communications and P2 Roadmaps"
March 05, 2019 Cascade Chapter: Vancouver PI Network! December 12, 2018 Cascade Chapter: Winter Party! November 15, 2018 IAP2 USA Greater LA: November Meeting - What the heck is a Community Intelligence Officer (ComIO)? November 13, 2018 IAP2 Monthly Webinar - Victoria Encore: "Prevent Truth Decay"
July 10, 2018 IAP2 Monthly Webinar: Denver Encore - "Participatory Systems Change"
June 12, 2018 IAP2 Monthly Webinar - Denver Encore: "Beyond Inclusion"
May 08, 2018 IAP2 Monthly Webinar - Denver Encore: "Our Community Could Blow Up. Do We Have Time For Some Quick Consultation?" March 08, 2018 IAP2 Greater LA March Event: "Your Brain on Conflict"
February 21, 2018 IAP2 USA Greater LA February Event: "Your Toughest P2 Problems Solved"
January 09, 2018 IAP2 Monthly Webinar - Denver Encore: "Digital Engagement Workshop"
December 12, 2017 IAP2 Monthly Webinar - Denver Encore: "Beginning with the Brain in Mind"
September 07, 2017 2017 North American Conference: Pathways - Are We Facing a P2 Crisis or an Opportunity? September 06, 2017 2017 IAP2 North American Conference: WORKSHOP - "Bringing More Voices to the Conversation: Lessons from the Trenches"
September 06, 2017 2017 IAP2 North American Conference: WORKSHOP - "Traffic Jam! Overcoming the Gridlock of Transportation Engagement"
September 06, 2017 2017 IAP2 North American Conference: WORKSHOP - "Online Community Engagement"
August 15, 2017 IAP2 Monthly Webinar - Montreal Encore: "Are We Smarter Together?" + "Understanding the Squishy Stuff"
July 11, 2017 IAP2 Monthly Webinar - Montreal Encore: "Is Your Organization P2-Centric?" 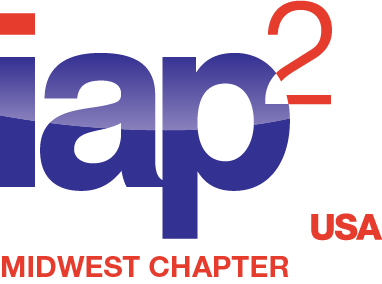 June 21, 2017 IAP2 USA Greater Los Angeles Chapter (Emerging): How Can IAP2 USA Make you a Rock Star? June 13, 2017 IAP2 Monthly Webinar - Montreal Encore: "Facilitation Matters"
May 17, 2017 IAP2 USA Greater Los Angeles Chapter (Emerging): Outreach in the OC: Rail, Buses, Cars and PEOPLE! May 09, 2017 IAP2 Monthly Webinar - Montreal Encore: "Duh, Make it Interesting"
April 27, 2017 Cascade Chapter Area: "The Old Road; A New Future"
March 29, 2017 Greater Los Angeles Area Chapter (Emerging): Mary Gelinas - "Why Can't We Converse with One Another?" February 27, 2017 Skills Symposium: We NEED Your Voice: Are we facing a P2 crisis or opportunity? October 20, 2016 IAP2 USA Los Angeles Chapter (Emerging) October Event: "Getting Permission from the Community to Run your Operations"
October 07, 2016 27th Annual Envisioning California Conference: "Our Voices: Advancing Civic Engagement in California"
September 28, 2016 Cascade PI Network: The Top Ten Reasons Groups Can't Solve Problems! September 14, 2016 Government Online Community of Practice – New! June 14, 2016 IAP2 June Webinar: Favorites from Portland – 3 "It's Geek to Me"
May 25, 2016 IAP2 USA (EMERGING) LOS ANGELES CHAPTER: WHAT HAPPENS WHEN COPS AND COMMUNITIES GET TOGETHER – IN A GOOD WAY! March 08, 2016 IAP2 March Webinar – Favorites from Portland 2015: "Engagement Triangle" and "Innovative Visual Public Engagement" from "It's Geek to Me"